Sally Jane (Grant) Doughty died peacefully at home surrounded by her family after a lengthy battle with cancer. The wife of Donald L. Doughty, she was 74 years of age. She was the youngest child of John E. and Jessie E. (Rooney) Grant. She was preceded in death by her parents and by her Brother Creighton R. Grant and sisters Gloria Marilyn Grant and Beverley E. (Grant) Phillips. In her early years, she worked for New England Telephone company in Boston and Arlington, Arthur D. Little, Badger Corporation and in later years New England Rehab and Curves in Arlington and Melrose. She spent many wonderful vacations with family and friends at Papoose Pond in Waterford, Maine, Saint Maarten, Aruba, Nova Scotia And Uncasville, Ct. Her greatest joy was her family, especially her 10 grandchildren. She was always present at their various sporting events. Lovingly referred to as “Nanny”, by one and all. 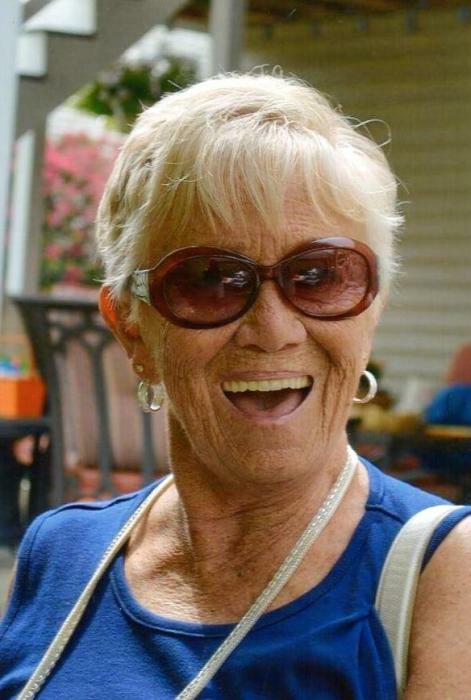 In addition to her husband of fifty years, Donald L. Doughty,she is survived by her four children, Lianne D. Farfaras & her husband Troy of Woburn, Scott E. Doughty & his wife Kerry of Salem, NH, James E. Doughty and his wife Amy of Nashua, NH and Lori G. DeLeo and her husband Al of Nashua, NH. Her ten grandchildren, Nicholas, Ashley, Emilee, Andrew, Evan, Jackson, Connor, Kailee, Brendon & Gavin. Her brothers-in-law, Edward Phillips, Robert Doughty, George Doughty and sisters-in-law Norma Grant and Ann Doughty as well as many nieces and nephews. A funeral will be held at Brown & Hickey Funeral Home 34 Trapelo Road Belmont, MA at 10 am Monday March 19, and friends are invited to call at Brown & Hickey on Sunday March 18th from 1:00 - 5:00 PM. In lieu of flowers,the family requests donations be made to the Mass General Cancer Center at MGH Development Office, 125 Nashua Street, Suite 540, Boston, MA 02114.